Irina Vinogradsky is a Cleveland Immigration attorney who helps immigrants obtain immigrant and non-immigrant visas, permanent resident status though family relationships and based on employment and investment. She provides deportation defense in Immigration Courts throughout the country. Attorney Irina Vinogradsky has been admitted to the United States Supreme Court Bar. She has also been admitted to practice law in Ohio by the Supreme Court of Ohio. Irina Vinogradsky serves on a number of local Boards. Mrs. Vinogradsky is a voluntary attorney for Cleveland Adult Guardianship Services. As a Russian immigrant, attorney Vinogradsky understands the concerns her clients are facing, which is why she provides diligent, resourceful representation. Mrs. Vinogradsky is professional, experienced and accessible. 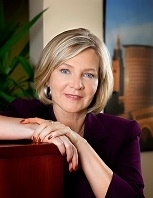 She is member of the American Immigration Lawyers Association and the Ohio Bar Association. Attorney Irina Vinogradsky received her Masters of Science degree in Mathematics from Yaroslavl State University, Russia and her Juris Doctor degree from Cleveland Marshall College of Law. In previous experience, attorney Irina Vinogradsky worked as a software developer and has extensive technical background and expertise. Attorney Irina Vinogradsky is married with two adult children and three grandchildren. In her free time she likes to read and travel.